The Queen Victoria’s Royal Cypher ‘VR’ within an oval strap bearing the motto ‘Honi Soit Qui Mal y Pense, with the imperial crown over. Beneath a scroll bearing the regiment title ‘Queen Victoria’s Own Poona Horse’. 37.7mm tall by 36mm wide. This example in Indian made cast brass and silver plated. Two loops. Probably sand cast from a UK made officer’s badge. 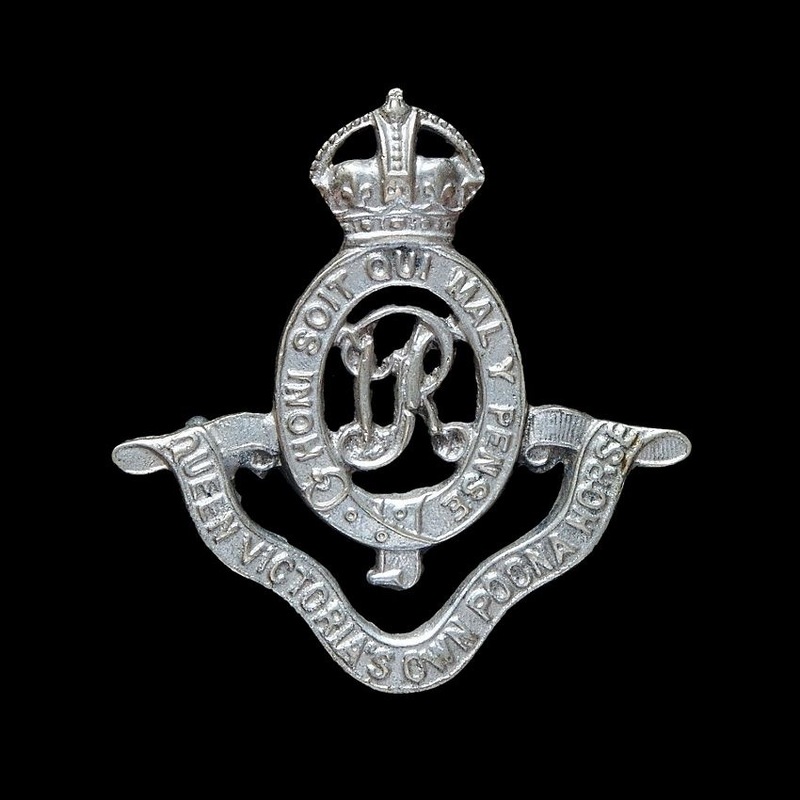 Regiment formed at Jhansi on the 1st November 1921. 1922: 17th Queen Victoria’s Own Poona Horse. 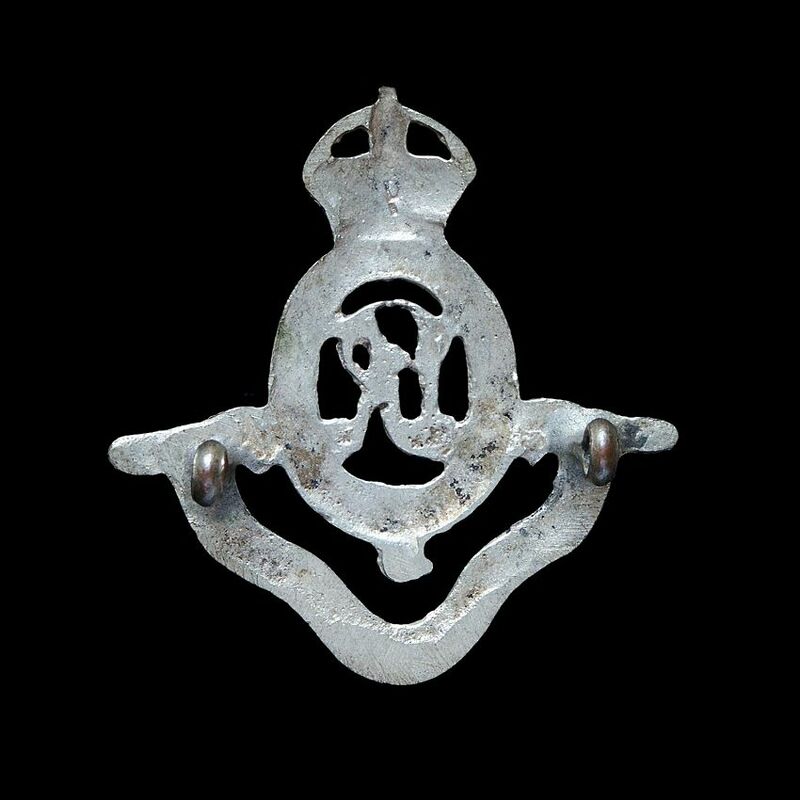 1927: The Poona Horse (17th Queen Victoria’s Own Cavalry). 1947: Remained with the Indian Army on partition. September 1939-March 1941: Poona Brigade Area.